The below article is a guest post by the wonderful Rogue DM as she is known on YouTube. Below the article you will see a couple of links to her personal YouTube Channel. This blog was inspired by a post in the Tabletop RPG One Shot Group that led me to asking her if she would be willing to write on the topic from her very own perspective. So here it is and be sure to go and check our her YouTube Channel when you are done reading this. In this day and age there is a lot of concern about equality, which in my opinion is of course important. Equality falls into various categories such as race, gender and sexual orientation and so on, and these are often addressed in the world of gaming. Tabletop gaming is no exception, as we see more and more incidences of unacceptable behaviour that need addressing, or concerned GMs wanting to run a game or campaign that is fun for everyone at their table. As a biological female (I say biological due to me expressing my gender differently, but more on that later), I of course want to be treated the same way as those with a Y chromosome. However, when it comes to expressing gender equality at the table, I feel that the subject has become so convoluted that doing anything that could possibly be deemed sexist if interpreted in a certain way is now a huge taboo. Quite often I get people asking for my thoughts and opinions on the female presence in gaming. It is an interesting subject, although rather confusing to me, as there are lot of labels that are placed on forms of entertainment nowadays. Cosplaying is typically labelled more feminine, while FPS games or anything to do with war is deemed more masculine. The media certainly doesn’t help as it often plays to stereotypes, and unlike the 80s and 90s where girls and boys would both be shown wearing dungarees and playing with Lego everything is lumped into a very black-and-white perspective nowadays. I identify myself as gender fluid, which basically means that I can fluctuate between expressing masculine and feminine behaviour, to anything in the middle. It is in my nature to identify everyone else around me as human beings, rather than with the sexual organs they were born with. At my table, it is the same story. I do not choose people based on their gender. I choose based on their interests and enthusiasm for the game. I do things because I enjoy them, rather than feel restricted by gender stereotypes, and again it is in my nature to expect others to do the same. 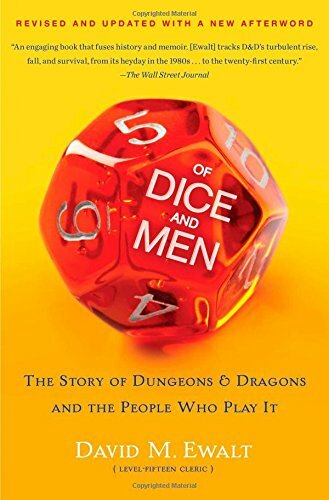 It is true that one is more likely to gain male players in a game of Dungeons & Dragons, but it is also apparent that the gap between majority and minority is getting smaller. Trying to recruit enough women to gaming groups in order to balance statistics is not the right way to go about it. I would certainly not insist that a certain number of men had to be present if I was leading a supposedly more feminine activity. What I have found is that those who care about gender equality are always striving to better their games to suit such a purpose, but those who do not care will not go out of their way to improve it. I have been sexually harassed and assaulted before and the gender of those who did it matches with statistics, but I hold the incidences against the specific people involved rather than encompassing an entire gender. If something unacceptable were to happen at my table, such as someone making a blatantly offensive remark to someone else, I would address it to that specific person, no matter who they were. But, I think anyone who is concerned about such things would do so anyway. It is the people who don’t care, that we need to be concerned about. For those who do care, that is great, and if you have made a sexist remark by accident, oh well. You did not wish to intentionally offend anyone, and the person who is offended has to understand this. I’ve made racist, sexist and homophobic comments before unintentionally, just as everyone in some way or another will screw up in some kind of situation. That’s just life. But it is the fact that you know you screwed up that is important. Those who don’t care to treat both genders equally automatically think their opinion is the perfect one, and to them they are not screwing up. Nobody is perfect. But those who think they are already perfect are the ones to watch out for. It all comes down to a collective passionate about the game they are playing. Rather than sweating the small stuff and tip-toeing around every potential way to offend someone, make it known that you care for gender equality. Don’t let your love for the hobby be restricted by such things. Just get a group together, show up and play. As for those who don’t treat people equally at their table make it clear to them that they are not welcome in the hobby. They will eventually get the message. Jenny, going under the alias TheRogueDM, is a YouTube content creator and an avid member of the RPG Brigade.